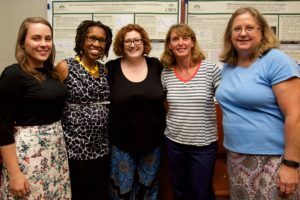 CTI, an educational partnership among UNC Charlotte, Davidson College and Charlotte-Mecklenburg Schools (CMS), is designed to strengthen teaching and learning in public schools. Affiliated with the Yale National Initiative at Yale University, CTI provides intensive, high quality, professional development for CMS teachers. Each year about 100 CMS teachers enroll in CTI’s innovative, content-rich, seven-month-long seminars, led by tenured university and college faculty. “The CTI model is a one-of-a-kind program for CMS teachers. I am thrilled and honored to be part of a professional development program that so closely aligns the needs of students, the experience of teachers, and the expertise of professors. It is this unique university-school design that separates CTI from all other programs locally and nationally,” Gartlan said. As CTI’s executive director, Gartlan will lead the Institute in its day-to-day operations, program management and evaluation, fiscal oversight and development activities. 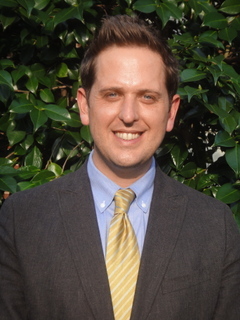 “Having previously served as CTI’s program evaluation project director, Scott comes into his new role with valuable experience and understanding of the mission of the Institute, and is well poised to guide it in its next stage of development,” said Nancy Gutierrez, dean of the College of Liberal Arts and Sciences at UNC Charlotte. Gartlan brings CTI a variety of relevant experience in teacher professional development, including five years of teaching experience in area schools. At the Cannon School, he taught AP Psychology and Honors Ethics and was also the school’s Character Education Coordinator. More recently, at Charlotte Country Day, he taught AP and IB Psychology. In addition, Gartlan was previously program coordinator for curriculum development at the Cahn Fellows Program for Distinguished New York City Principals at Teachers College, Columbia University, and he worked on the Moral Development Team with the Center for Spiritual and Ethical Education in Portland, Oregon. “CMS is delighted to have Scott Gartlan at the helm of the Charlotte Teachers Institute for this critical next phase of the organization’s development and expansion. Scott brings great skills to the program in the area of research and evaluation as well as experience as a classroom teacher. His leadership will undoubtedly allow CTI to realize its goal of being the premier professional development opportunity available to teachers in CMS,” said Ann Clark, Chief Academic Officer of the Charlotte-Mecklenburg Schools. Gartlan received Bachelor’s and Master’s degrees in Psychology from Washington College, and his Ed.M. in Education Leadership from Teachers College, Columbia University. He is currently pursuing a doctorate in Educational Leadership from UNC Charlotte. Gartlan also serves as a member of the Diversity and Public Policy Advisory Board for the Center for Professional Ethics at UNC Charlotte. In welcoming Gartlan to his new post, Davidson College Vice President for Academic Affairs Clark Ross said, “We look forward to our continued relationship with this exemplary program that links Davidson College with the fine teachers in our Charlotte-Mecklenburg system. Our participating Davidson faculty continue to be enriched through their engagement with this program and the dedicated public school teachers with whom they collaborate. CTI’s core seminar program resumes for the fall semester on September 20. These eight seminars will meet weekly where Fellows discuss content knowledge related to their discipline, ways to integrate that new knowledge into the curriculum, and build relationships with fellow teachers throughout the district. Posted on August 30, 2011 by clas-web. This entry was posted in CTI News. Bookmark the permalink.